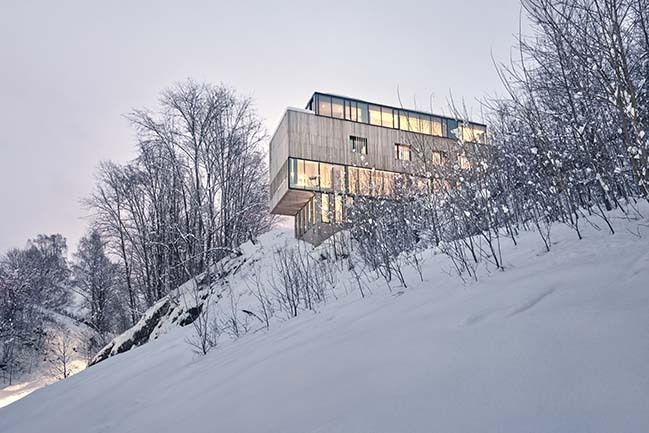 Designed by Reiulf Ramstad Arkitekter. 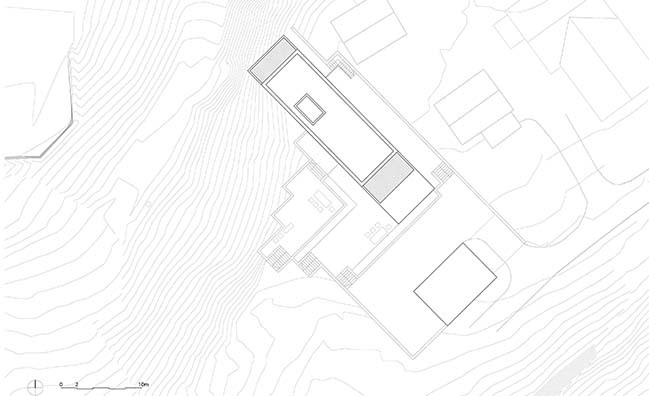 The Two-in-One House is a calm piece of architecture resting on the steep and dynamic landscape of Ekeberglia. 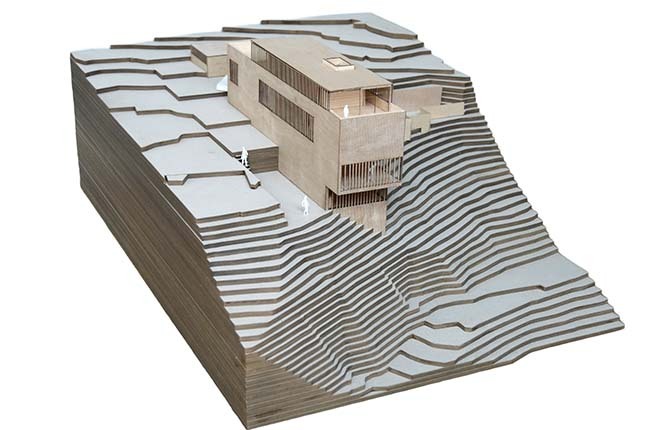 From the architect: Its slender and rectangular form is manifested at the top of the sloping landscape. 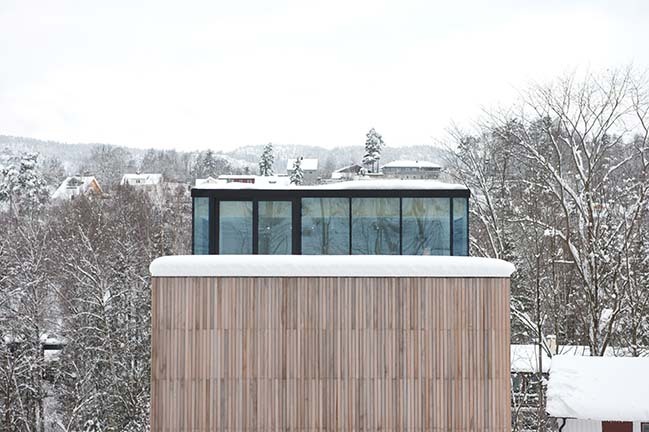 From a concrete base, the building grows with a wooden clad body forming relation with the omnipresence of broadleaf trees surrounding the building topped with a light glass structure. 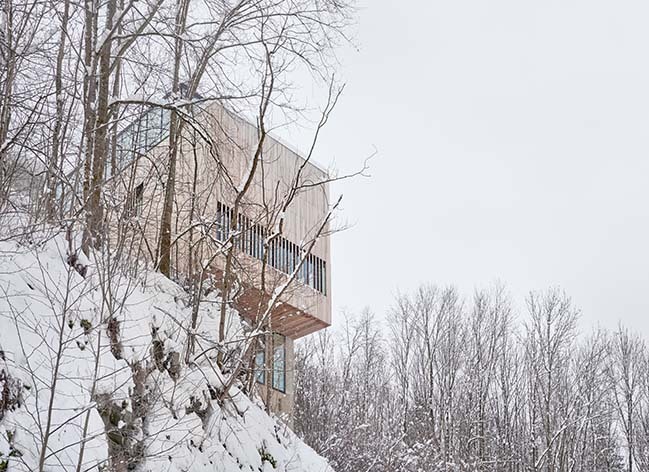 In the hills of Høvik municipality, the site features a very steep and rocky slope to the West, and a naturally low vegetation that stretches to the South. 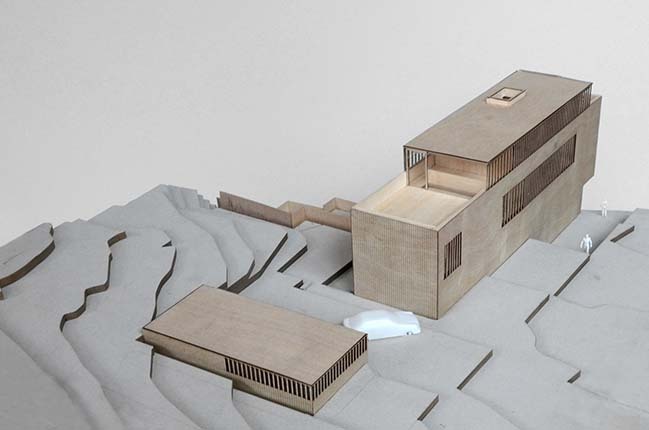 Though the project lies close to Ekeberglia, it visually distances itself from the small town with the ascending slope shielding the site. 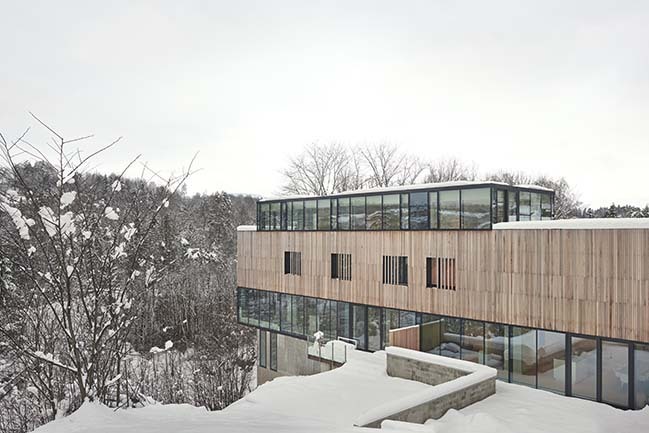 The project was early on given a simple rectangular form, to appear as a calming entity in a vivid landscape. 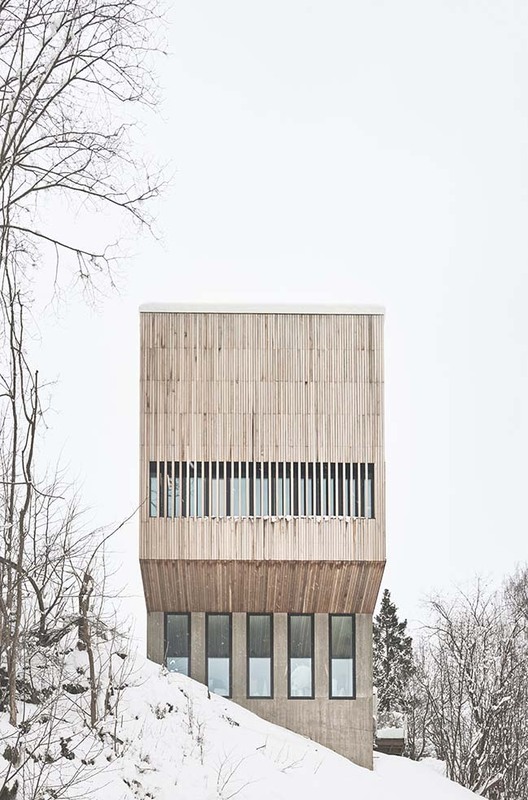 Only the changing program of the building is manifesting itself in the simple and straightforward façade. 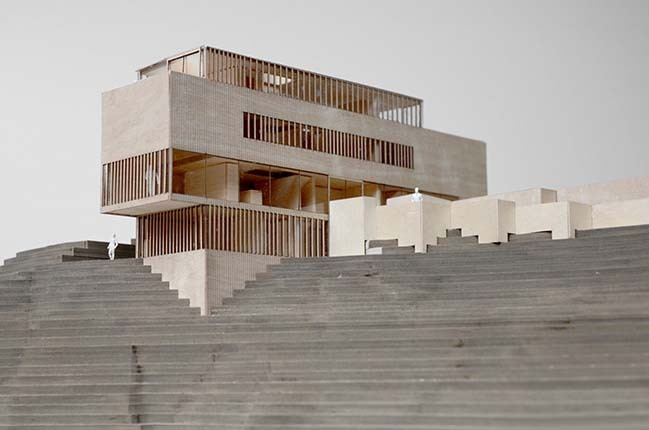 While the structure base is cast in concrete and serves as the medium between landscape and the wooden building, the body, which houses the main floors, grows from this base in untreated vertical cedar panels. 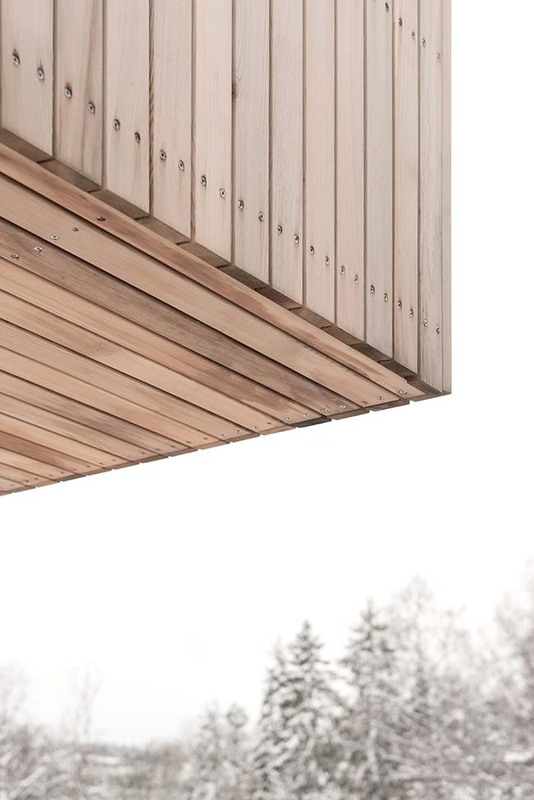 Materials are carefully chosen to endure the rough Norwegian climate, and to ensure a beautiful greyscale patina over time. 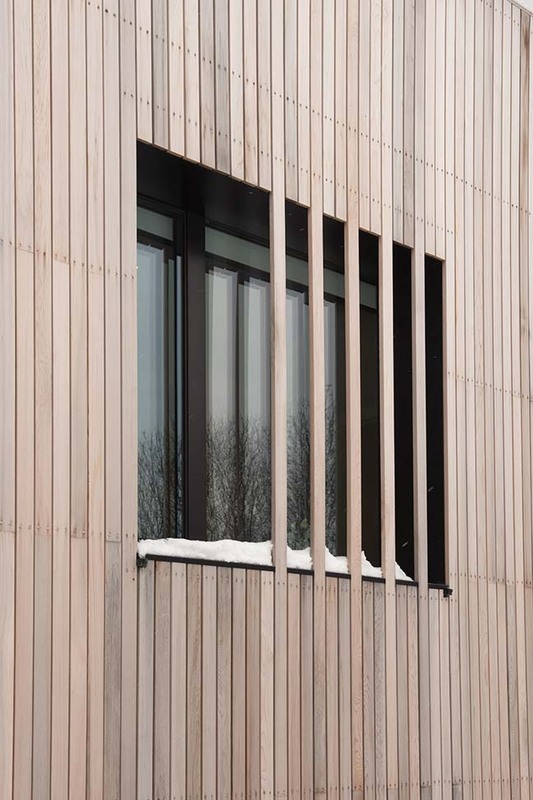 The crispy windows framed by slender black steel, add to the beautiful pallet of winter tones and form a very neat and elegant facade. 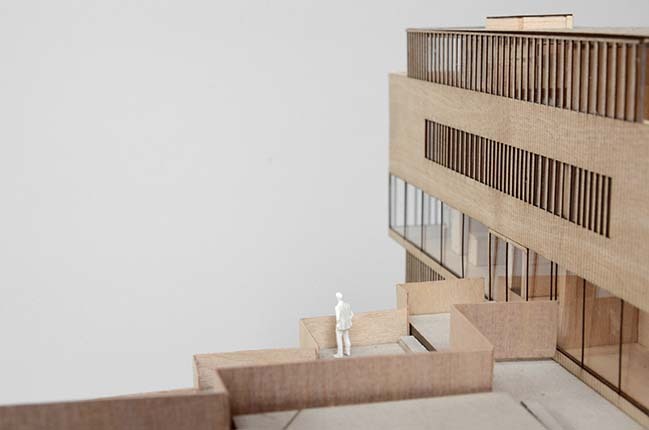 The building provides inviting homes to two families, as well as an independent apartment in the base. 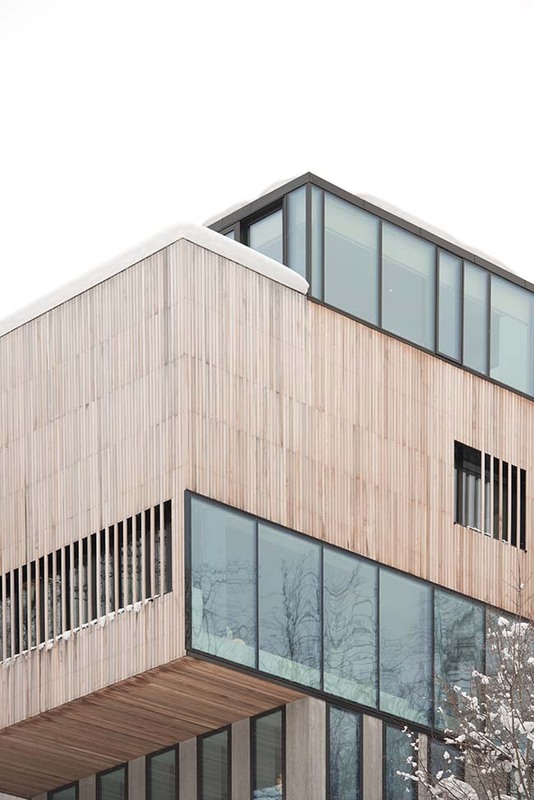 The main task was for the project to appear as a unify house despite its duality, and still ensure the privacy of both units. 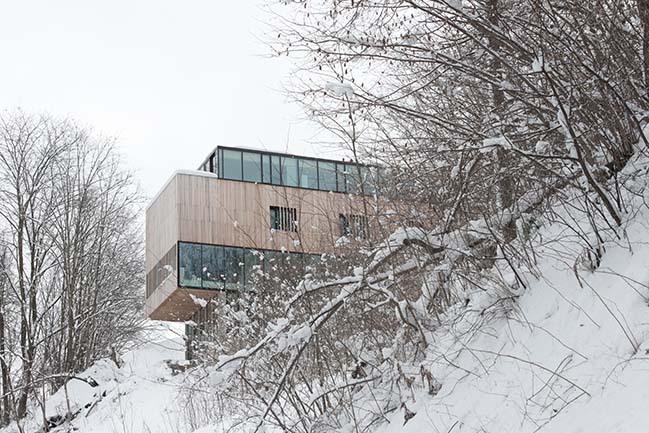 The ground floor integrates the main- and public functions of the homes and the threshold between the home and the surrounding nature is broken down thanks to its open façade. 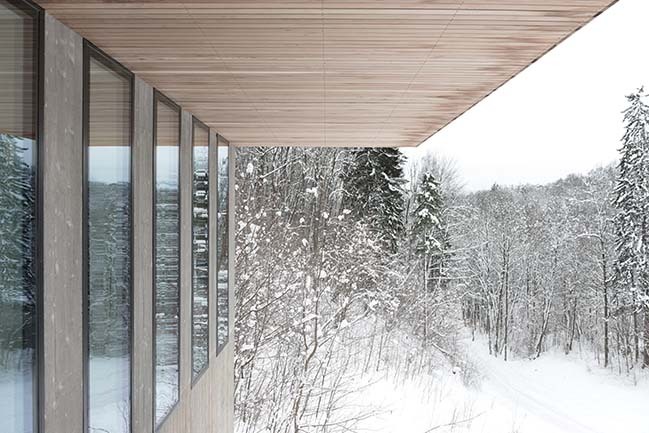 Elegant windows frame the Southwest scenery and invite nature into the building. 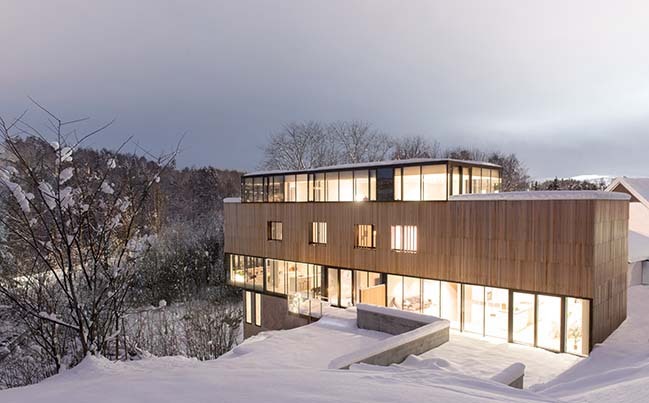 On the contrary, the first floor protects the intimacy of the family, and provides a more introvert area, with windows subtly appearing behind slits in the cedar cladding. The hardship of the landscape was solved through a careful 3D scanning of the site, for a precise meeting between landscape and building. 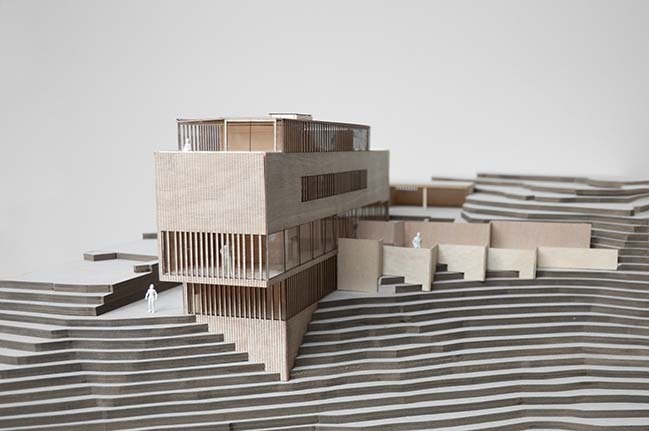 Every detail has been handled with extreme precision ensuring a sharp and clean expression of the dwelling architecture, leaving the landscape the most impressive element on site.